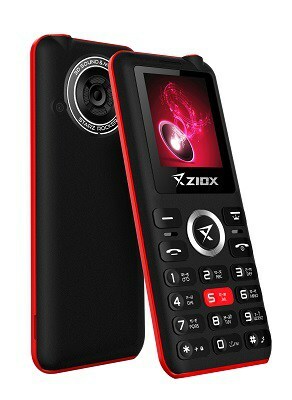 Ziox Mobiles, under the aegis of Sun Airvoice Private Limited announces the launch of its newest feature phone ‘Starz Rocker’an ideal addition to the festive mood. Paired with 1650mAh biggest battery in its segment and exceptional sound quality with BIG Speaker, every pocket will have a DJ now! The Dual Sim feature phone features auto call recording facility that records both incoming and outgoing calls with seamless sound precision. Enabled with Bluetooth and GPRS, the phone offers easy gateway to the internet. With a battery of 1650 mAh& Memory which is expandable upto 32 GB the feature phone aptitudes to enhance your multimedia experience and provide endless entertainment. Centred on high performancewith sleek design and splendid looks, flaunt the BrightDisplay, that bringsyou the perfect viewing from every angle and accurate edge-to-edge colours.Shelter the special festive moments with the best in classDigital Camera with Flashlight and massive battery to keep you going. Commenting on the launch, Deepak Kabu, CEO -Ziox Mobiles said, “We are thrilled to bring our compact entertainment Box – Starz Rocker, this will be ideal mobile for music lovers in budget segment. Celebrate this Diwali with Starz Rocker and bring fun, charm and music to life. To keep your celebrations going, additional features such as wireless FM radio with recording not only lets you tune into your favorite local FM station, but also records your favorite songs without connecting any earphones. For user convenience, it comes with a built-in Big LED torch, that radiates perfect brightness for emergency use. Other utilities include, the SOS feature and Privacy Lock that keeps your safety first. The Multi language support feature phone, is available in four color combination across the leading retail stores in India.